Hold pieces tightly together for pinch welds, flange welds, and more. Pinch Weld Clamps hold in tight spaces where larger clamps won't fit Trying to weld in tight spots but your clamps won't fit? Get this miniature 4-pc. Pinch Weld Clamp Set instead. Holds outer panels to inner heel lips, rockers, trunk well opening, custom dash or door panel fabrication, outer door skins, and more.. 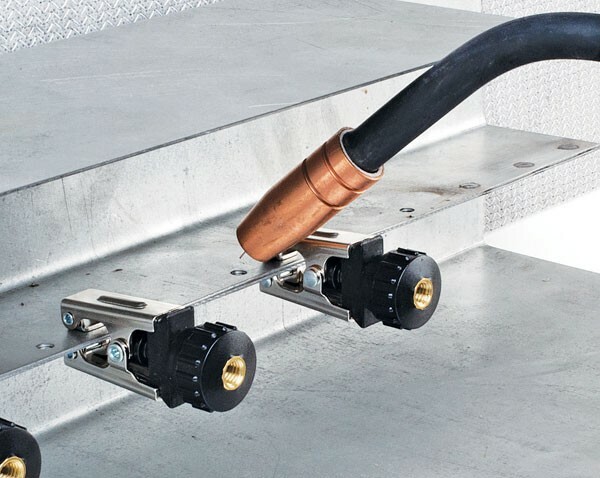 Handy welding clamps can be used to tightly hold workpieces together for welding, even in constricted work areas. Imported.. Always use caution when removing after welding since the clamps may still be hot. 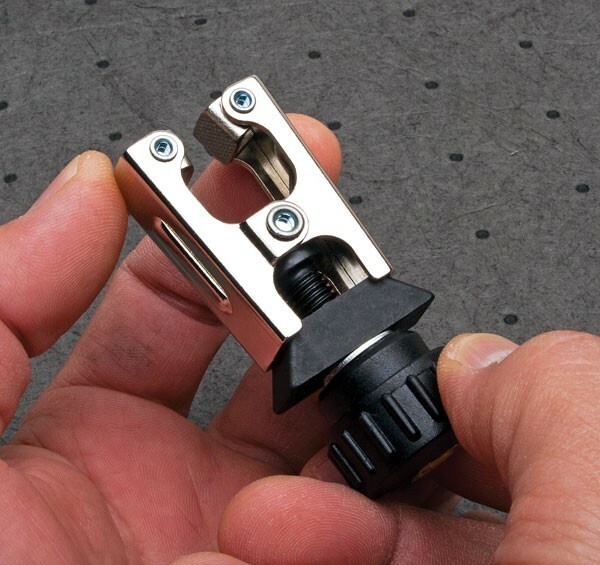 These are actually very useful little clamps! I initially bought them for clamping some of the patch panels I made for my old Jeep CJ-7. But because they have nice flat jaws, and are adjustable, and you can set the clamping pressure to whatever you need, I have actually ended up using them all over the house! Because you can adjust the holding strength, they can be used on delicate things without leaving any marks on whatever you are working on. I have used them to fix plastic kids toys, jewelry, and even some leather items that needed to be glued together! I even used them to repair my wife's favorite sandals! They are surprisingly simple clamps that just work. Now, Eastwood, if you can make these in different throat depths to work at deeper depths, you have at least one customer that will buy them all!! Excellent, simple, easy to use, adjustable, non-marring. What more could you ask for!! Love these things. Small, effective to hold up to light and heavy loads (250 lbs). Great tools for use in welding parts together. Opportunity to use them on the first day I received them. Tight location to weld a wheel well patch effectively. Seems like these will be a winner for welding tasks to come. I purchased the Pinch Weld clams for those difficult to reach areas that require a strong clamping force for alignment. 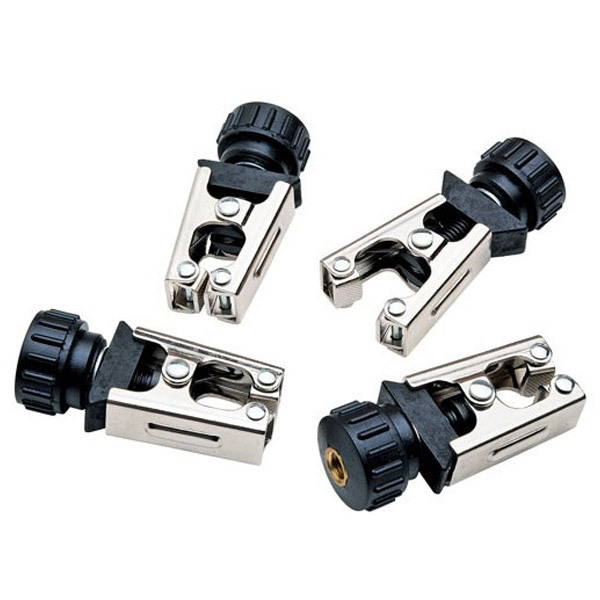 These are the handiest clamps and should be in every toolbox!